Though skirt-watching and spirit-sipping in the city’s cafés and beer gardens is perhaps the most popular local leisure activity, our Leisure section is more designed to help you get out and make the most of a sunny day, or stay active during a dreary one. Known as one of Poland’s greenest cities, Wrocław offers plenty of recreation opportunities on top of its great architecture, nightlife and culture. With a scenic location on the Odra River and its many tributaries, the city boasts kilometres of river boulevards and bike lanes, as well as kayak rentals and river cruises. 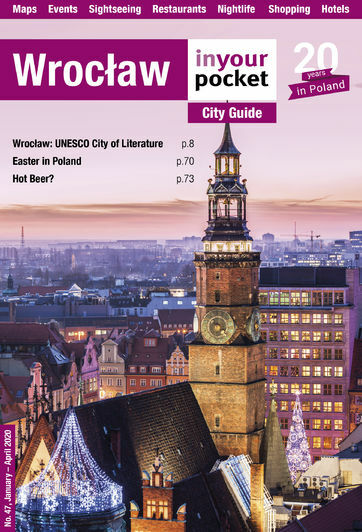 Locals flock to the Botanical and Japanese Gardens in spring time, and there are plenty of city-centre public parks to relax in from Ostrów Tumski to Partisan Hill (see Sightseeing). The historical Partynice Racecourse and amazing Adrenalina Park are outstanding day-outings, the Municipal Swimming Pools are a hidden gem and the Water Park is one of the best in the country. Football fans also have the chance to see one of Poland’s biggest clubs - Śląsk Wrocław - in a brand-new state-of-the-art stadium. Whatever your interest, be it golf or yoga, the area has something to offer you, so use the listings below to stay active in every season.